Don’t have enough time to sweat it out in the gym? Thinking of how you can lose a couple of pounds before a big event? Most of us have busy lifestyles with no time to hit the gym or do regular exercise. That’s why we need to choose a smart weight loss program to help us achieve our weight goals easily. Unfortunately, there are many fad diets today that claim to help a lot of people lose weight in a short span of time. The plans suggested by these fad diet gurus are extremely unbalanced, unhealthy, and could lead to serious health problems. That’s why you need to be cautious and choose the right program that best suits your lifestyle and weight loss goals, without falling for such gimmicks. Finding such a program is easier said than done. But don’t lose heart! You will find a lot of excellent diet programs that will help you attain your ideal weight without compromising your health. The HCG diet is one such weight loss program that you can count on. Read further to learn more about this popular diet plan. Imagine losing lots of weight by consuming a natural hormone. And that’s exactly what you do when you follow the HCG diet. This diet gets its name from the hormone, Human Chorionic Gonadotropin (HCG). You must be wondering – what is Human Chorionic Gonadotropin? How does it help you lose weight? Well, this section will help you understand everything you need to know about HCG. Human Chorionic Gonadotropin is the hormone produced by the placenta in a pregnant woman’s body right after implantation takes place in order to nourish the fetus. HCG levels are also used to check the baby’s development throughout the first trimester, if a woman is expecting twins or triplets or if there are problems in the pregnancy. But what is the connection between the hormone and weight loss? Well, the groundbreaking theory was discovered by Dr. Albert T. W. Simeons, an eminent British endocrinologist in the 50s after doing a study on malnourished women in India. In spite of not having the best nutrition, they were able to deliver normal, healthy babies. He had also done a study on boys with pituitary problems and noticed that they had lost weight when they were given dosages of HCG hormones. As per his conclusions, when HCG hormone is present in the body, it suppresses hunger pangs and uses the fat already stored in the body to create energy. How Can The HCG Hormone Be Consumed? HCG hormone is extracted from the pituitary glands and converted into synthesized HCG powder. The conversion process is quite complex and that’s why it takes place only in select laboratories which use the latest technologies and equipment to ensure that the hormone is converted using the right methods. The derived HCG powder is used to make HCG drops, injections, sprays, and pellets. 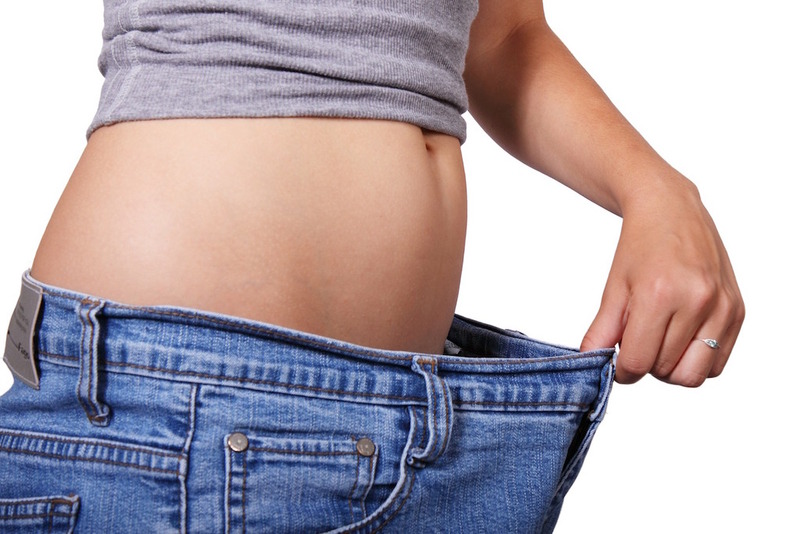 How Can The HCG Diet Help You? There are four phases in the HCG diet. You will need to take your HCG supplements during the first two phases as per your doctor’s/dietician’s subscription. Along with the supplements, you must also ensure that you are on a strict low-calorie diet of 500 calories per day. While this may sound unrealistic, it is actually possible because the HCG hormone is a hunger suppressant. Once you start your HCG supplements, you restrict the hormones responsible for hunger and appetite. Your body will use up all the old fat, which is stored as a result of your poor eating habits, to make energy. What Prep Work You Must Do Before Starting The Diet? As with any other diet, there are a few things you should do before getting into the HGC wagon. Here’s an overview. Before starting the weight loss program, you first need to first check with your doctor if the diet is suitable for you or not. Tell your doctor all your concerns related to the program. You can ask them about the diet plan, how to manage meals, what type of supplements you should preferably buy, what form of HCG you should use, etc. You can maintain a small journal on your phone, laptop or even on a small notebook to record your journey. This will help you figure out how much weight you have lost. You can use the HCG-approved food items list to help you create a meal program for the phases in which you will be on a restricted diet. Due to our busy lifestyle, we often tend to forget things. Set reminders on your phone to remind you when you need to take your HCG supplements. What Are The Four Phases Of The HCG Diet? The HCG diet can be divided into four phases. Let’s take a look at the calorie intake and the duration of each phase. There are no dietary restrictions in the loading phase. You can eat as much as you want, but not overeat. When you take supplements during this phase, you are preparing your body for the next few weeks of a restricted diet. Your body will use up the fat which is gained in this phase. The loading phase can be one or two, or maximum three days. You continue taking your supplements during this phase and start a restricted diet of 500 calories per day. Check with your doctor what you can eat and what you must not eat during this phase. If you follow the diet religiously, you will see a drop in your weight to about 2kgs per week! The weight loss phase lasts up between four to seven weeks, depending on when you reach your ideal weight. The duration of the maintenance phase is two weeks. In this phase, you stop taking your HCG supplements and slowly increase your food intake to around 700 calories in the first week and to 1200-1500 calories in the second week. If you see an increase in your weight, you can cut down your calories again until you reach your ideal weight. In this final phase, you need to maintain your weight. You can increase your calorie intake and have a cheat meal occasionally. By now, your body will be used to a healthy diet. Try not to indulge in sugars and starch as these could waste all your efforts in a weeks’ time. Throughout the program, remember to drink a lot of water and to get your beauty sleep. How Can HCG Supplements Be Consumed? Today, there are many companies that manufacture both pharmaceutical and homeopathic HCG supplements. This could be in the form of injections, pellets, drops, and sprays. It is very important to buy HCG supplements from a reputable company (FDA-approved) as there are many fake companies selling bad quality products on the market. Check for products which have the right concentration of HCG hormone in the product, which is 125 IU. Anything less than that is not going to help you. When Dr. Simeons did his research on HCG, he relied on HCG injections. HCG injections are still used by many dieters. However, if the thought of pricking yourself with injections everyday scare you, you can opt for drops, sprays or pellets. Drops are also another preferred product. Dieters are asked to place the drops under their tongue for faster absorption. It is highly recommended that you check with your doctor which type of product you need to use.